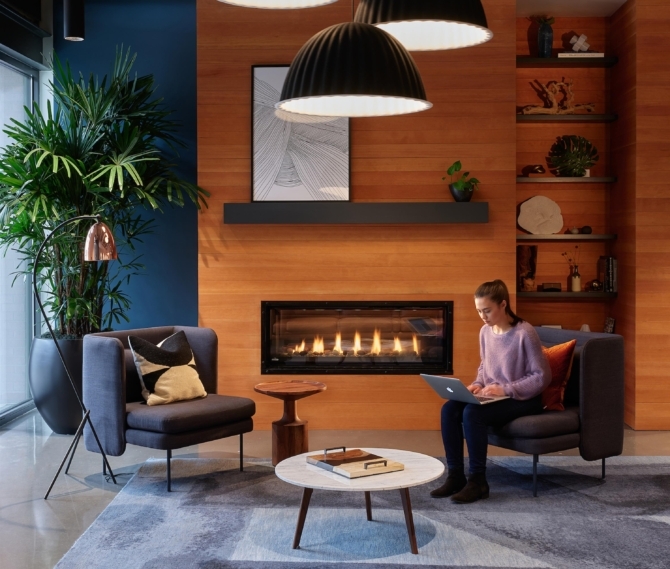 The new ZRZ Realty office needed to be forward-thinking, modern, and sophisticated, while balancing tradition and the company’s history – dating back to the 1920’s when Yeschie Zajdell (Sam Zidell) arrived in Portland from a small Russian village and founded the Zidell Yards. Our mission was to figure out how to do that. 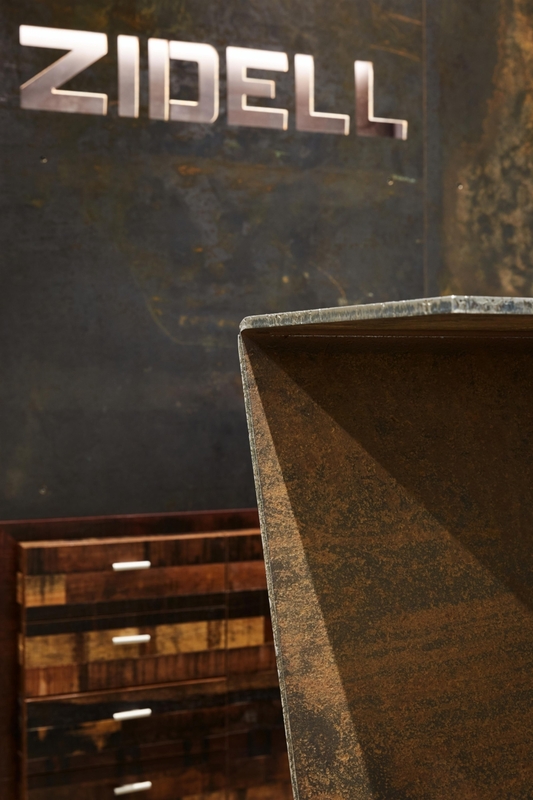 While touring their barge building we came across 50-year-old steel plates, weathering away. Though they had withstood years of abuse, they were still as strong as the day they were fabricated and marked with a natural patina that reflected the history of the site. This was our inspiration. 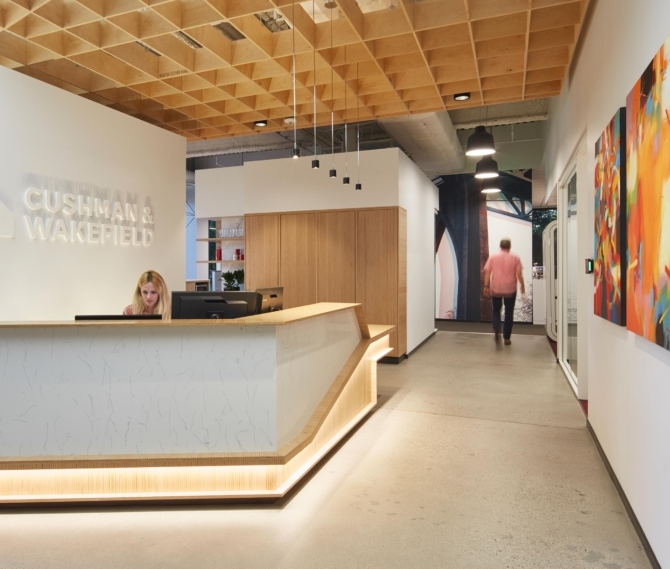 The same steel plate became the primary branding piece and reception desk for the office, greeting visitors from the door. 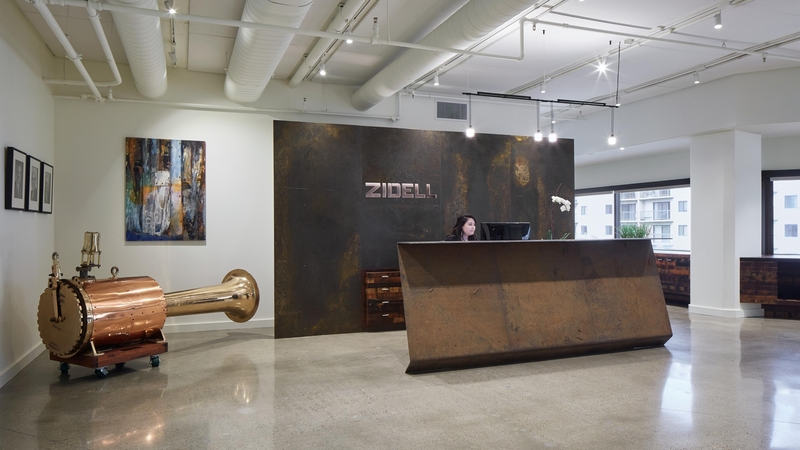 Elements used in shipmaking, such as the Zidells’ brass steamhorn, are repurposed into office artifacts that reference the Zidell family’s former trade. Historic photos of the site are abstracted and used as wall treatment in the café. Repurposed steel is paired with reclaimed wood cabinets that amplify the weathered aesthetic of the space. 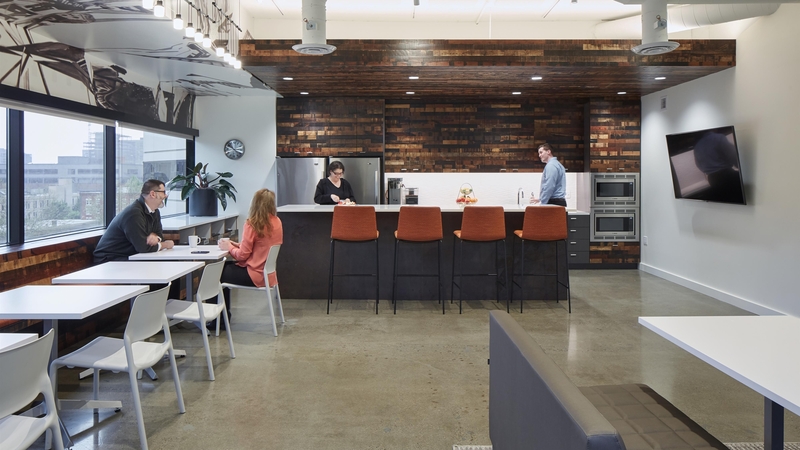 Furthermore, the new ZRZ office is light and bright, allowing the open office and glass walls to increase collaboration among its staff – a critical element to the success of the company’s new ventures. Our design takes the physical history of the Zidell family and puts it on display, reframing the past into something new. 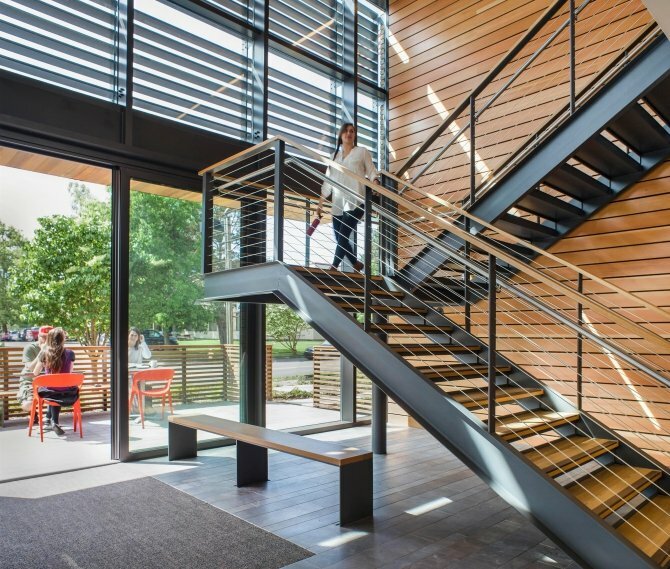 The headquarters emanate the Zidell’s deep experience with craftmanship and the built environment, as well as their place in the history of Portland itself.